So, after a few months of laying low and staying quiet, I’m back! I’ve been on the road guitar-ing for Flashdance the musical, exploring some new and old corners of America all the while writing new songs and working on new projects. Some of which are discussed below. Two songs from ‘Wander Years‘, Follow Me Before/Follow Me After are featured in Blue Barn Pictures’ newest short film Moving On that just hit the web this week. 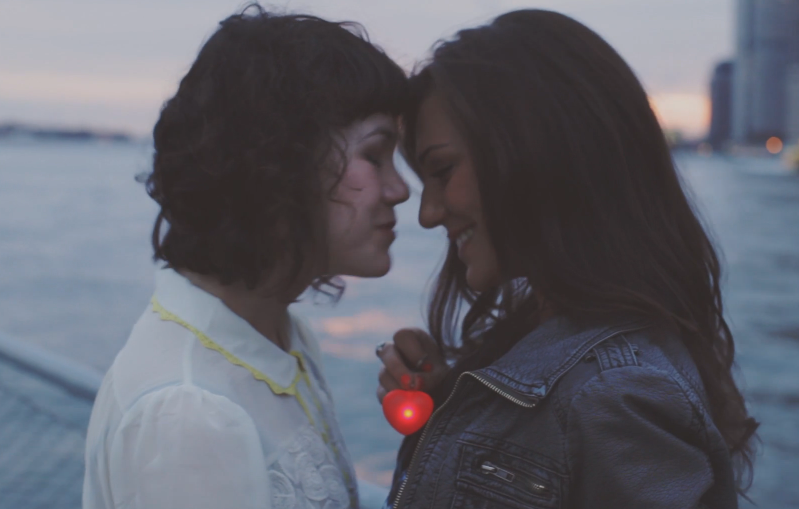 Moving On is about two girls in Brooklyn who are dealing with the end of their relationship. Are they ready to move on? Find out HERE. moving on from Blue Barn Pictures, Inc. on Vimeo. The film, written by Jim Baker and directed by Andrea Fuma. Moving On is honest, touching and beautifully shot. While on the cinematic train of thought – the music video for the song ‘A Lullaby’ is in it’s final stages of production and will hit the net (hopefully) during the early days of June. I’ve been working with a longtime friend and incredibly talented cinematographer, Patrick Mandeville and with another a good friend/So You Think You Can Dance finalist, Ellenore Scott to come up with, what I believe to be, a well-formed and graceful visual representation of the song. Thanks for reading – more to come. Next Post: The “A Lullaby” Official Music Video is HERE!